In March, Defy Media’s Prank It Fwd series surprised a waitress named Chelsea by giving her the “Best Shift Ever.” Instead of receiving tips, Chelsea got a bevy of bonuses including a vacation and a car. She wasn’t the only winner: The video has been viewed upward of 8.3 million times, leading the digital media company to renew the series. Season 2 will debut in mid-November with a new spin, essentially morphing each show into a prankvertising stunt with sponsor Barefoot Wine. “Not only will Barefoot Wine get a lot of media exposure and the broad distribution that we’re going to bring to the table with the Prank It Fwd promotion, but also they’re going to get positive media attention that’s going to benefit their brand,” Barry Blumberg, evp of Defy Media, explained. In a similar vein to Prank It Fwd, Marriott Rewards’ Year of Surprises, a new monthly series launching later this month, will honor unsuspecting community do-gooders. First up is a basketball coach who works with at-risk youth. Pranks shows aren’t new of course—Candid Camera debuted on TV in 1948 and other shows like MTV’s Jackass followed. But it’s the melding of pranks and advertising online that started with TNT promoting its 2012 launch in Belgium with a wild shoot-out in a Flemish town square (scoring 51 million views) that really got marketers salivating. Not only does the genre benefit from viral proliferation, but pranks also connect with the millennial male audience, the notoriously hardest group to reach, noted Collective Digital Studio CEO Reza Izad. While it makes sense for horror films like The Exorcist to drum up attention using scare tactics, UM Studios svp Rochelle Deckelbaum said it can backfire when sentiment isn’t in line with brand messaging. She cited the 2011 case where a woman sued Toyota and Saatchi & Saatchi for $10 million after their cyberstalking prank allegedly left her in emotional distress. Pranks with feel-good outcomes are less risky. “Positive pranks open up the genre to brands that normally wouldn’t sponsor a prank,” said Erin McPherson, Maker Studios chief content officer, citing that CPG brands and philanthropy groups are now using this method to reach younger audiences. 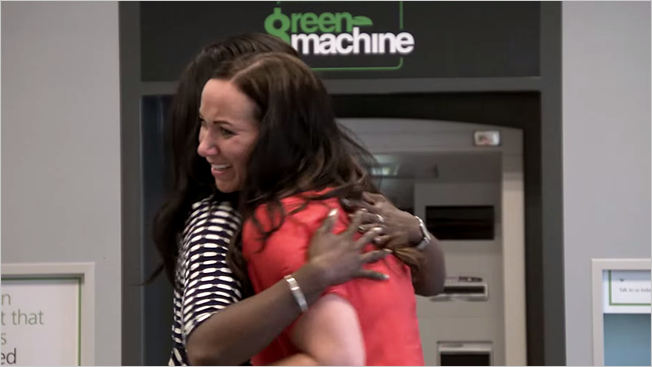 Even a bank can earn big love in social media, as proven by TD Canada Trust's joy-dispensing ATM. That stunt has been viewed more than 12 million times on YouTube. Those who can create prank content with a upbeat spin shine brighter, she argued. Case in point: Maker Studios’ prankster Magic of Rahat got one-fourth of his 2014 year-to-date views from two of his 152 videos: one where he helps a homeless man by giving him lottery winnings and a follow-up where he gives him a house. And CDS’ channel Give Back Films, which features random acts of kindness, was sponsored by Udi’s Gluten Free Bread, even though it only has 455,580 YouTube subscribers compared to VitalyzdTv’s 7.3 million. “You want a positive, exciting, happy moment. As a brand, it makes a lot more sense to associate with that,” Deckelbaum commented.